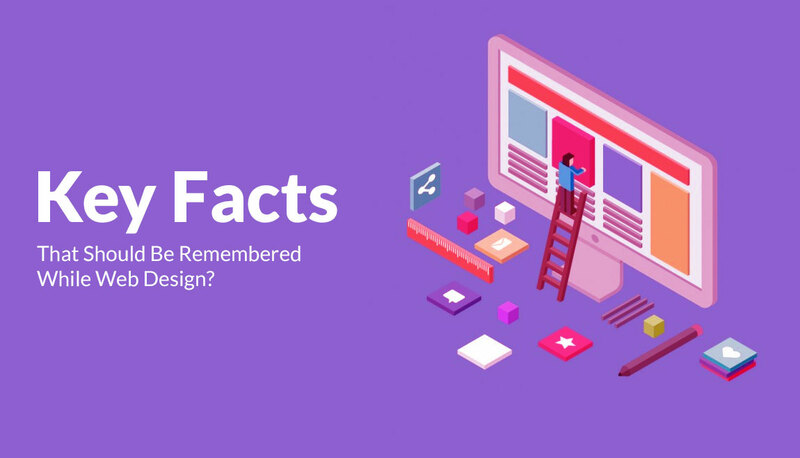 What Are The Key Facts That Should Be Remembered While Web Design? Starting from the incorporation of coding and navigation to the outlook and operation, a great deal of effort is put to create an attractive and comprehensive web design. However, the notion does not end here. The web designers and developers must work hand-in-hand to generate websites that are likely to be traced by the browsers while involving valuable customers and encouraging conversions. This is, however, a huge pressure. Providentially, the key facts enumerated below will walk you through the procedure thus enabling you to create an exclusive user experience, which is obvious to inspire the viewers to turn out to be devoted advocates of the brand. Distinguished and popular domains work a lot while saying very less. In addition to being remarkable, a domain must shout out the name of your brand and must not be prone to spelling mistakes. It is critical to find an appropriate name for your brand, as integrating a combination of brand identity, uncomplicated spelling, and SEO directs to a greater chance of being located in the first page of the search engine results. It is important to take into account the type of your enterprise and website while drawing a comparison between the hosting packages. You must have a clear idea of what you require— whether you need the website to be loaded with presentations, pictures, and videos or a receptive and reliable support is necessitated. One must also consider the volume of conversions that the site is about to receive. You must not skip researching the reviews of the web hosts before making a decision. An attractive and uncomplicated design is vital to be remembered while developing a webpage. A high quality and attractive design can be read at ease with instinctive navigation. An uncomplicated design assists the navigators to concentrate on the worth of your brand and its subject matter instead of disrupting graphics and a huge amount of written stuff. The attribute of a specific enterprise is often associated with the web design by the customers. Therefore, an uncomplicated design is an important factor that persuades the user to return and have a positive experience. It is extremely difficult to develop a web page without an efficient program taking care of it at the backend. Your website would not be able to persuade your customers if you are lacking in a strong backend. Similar to a sports car which is rendered inept without an engine, your website is also deemed to be useless without a backend service. Both for large and small scale business, branding is important. Your brand’s logo along with its design and positioning contributes hugely to a customer’s general opinion. The logos which are designed professionally are efficient enough to grab the user’s attention and provide a vivid depiction of the brand’s exclusiveness. You must choose an appropriate position to place your logo where the viewer’s eyes would first strike, like the left-most corner of the page. Most of the viewer begins to scan the webpage naturally from that part. The logo must not only be used on the page but it also must be imprinted on the brand packaging, apparel, and brand advertisement. A consistent level of branding provides the customers with a brand experience which would be remembered by them for a long time. Beyond the realization of the customer, the color selection owns a vital position in web design. Distinct colors call to mind emotional reactions such as frustration, tranquility, and happiness. While considering the use of colors in your web design, few factors like the company’s branding, niche, focused audience, and the fundamentals of color theory needs to be kept in mind. Irrespective of what your choice is, spending time on researching and selecting the best color for your site is bound to leave a great impression on your visitors. Your invaluable customer may never turn up if your website is complicated and difficult to navigate. In order to increase your website’s efficacy and attraction, an in-depth appraisal of the site must be conducted with the point of view of a new visitor. One of the different ways to improvise the visitor’s ease of navigation of your website must be embellished with a sitemap. Restructuring navigation by the omission of the pages that are under formed might decrease the time of loading, thereby, improvising the quality of the online presence of your brand. The design of your website must be able to increase conversion, navigation, and content, thereby, providing the users with a great experience. The key factors stated above should be considered while creating a branded website which would keep the users engaged and content with the website. While building a website review the tools and data delineated in this guide to ensure the success of your website.